Microsoft on Wednesday released a preview version of Windows 8.1, offering some important improvements – especially in navigation where people had some issues with the company’s flagship operating system. At a conference kick-off in San Francisco, Microsoft CEO Steve Ballmer acknowledged that the company pushed hard to get people to adopt a radical new tile-based “Modern” user interface in Windows 8. Microsoft is now back-pedaling, making it easier to reach and use the older “desktop” interface. I got Windows 8.1 Preview installation at TechEd Europe 2013 and immediately wanted to try the latest operating system from Microsoft. This is the preview version of Windows 8.1 and I decided to install it on a virtual machine. If you haven’t install image you could install it from this link http://windows.microsoft.com/en-us/windows-8/preview-download . 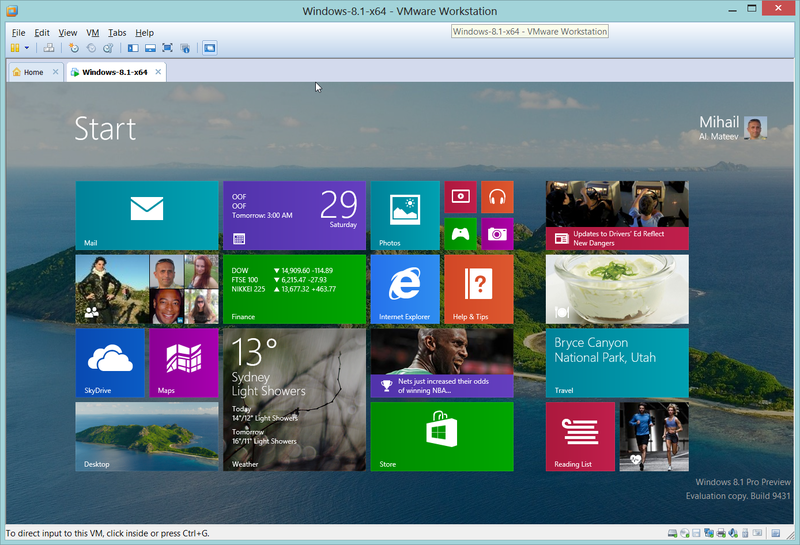 There are available Windows 8.1 versions in 12 languages. 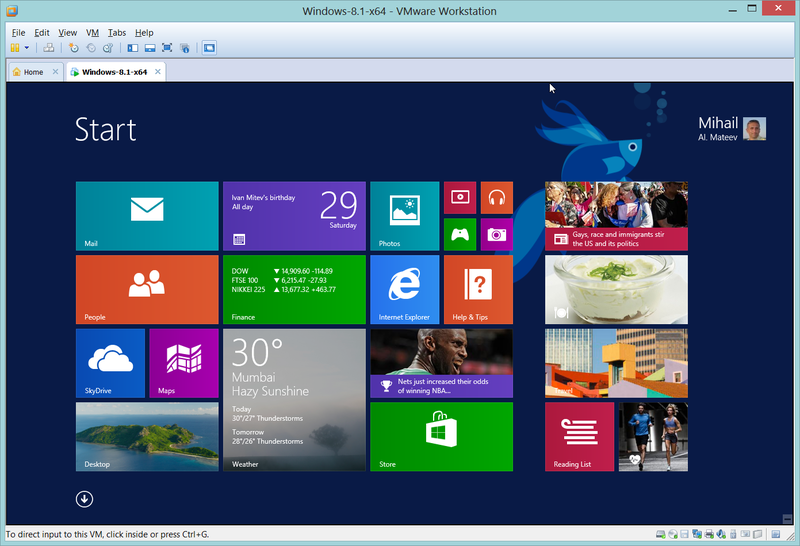 You can install Windows 8.1 Preview version using MS Hyper-V, VMware, Parallels or Virtual Box virtualization. I’m using VMware Workstation 8.0 over Windows 8 Enterprise. The installation runs smoothly. 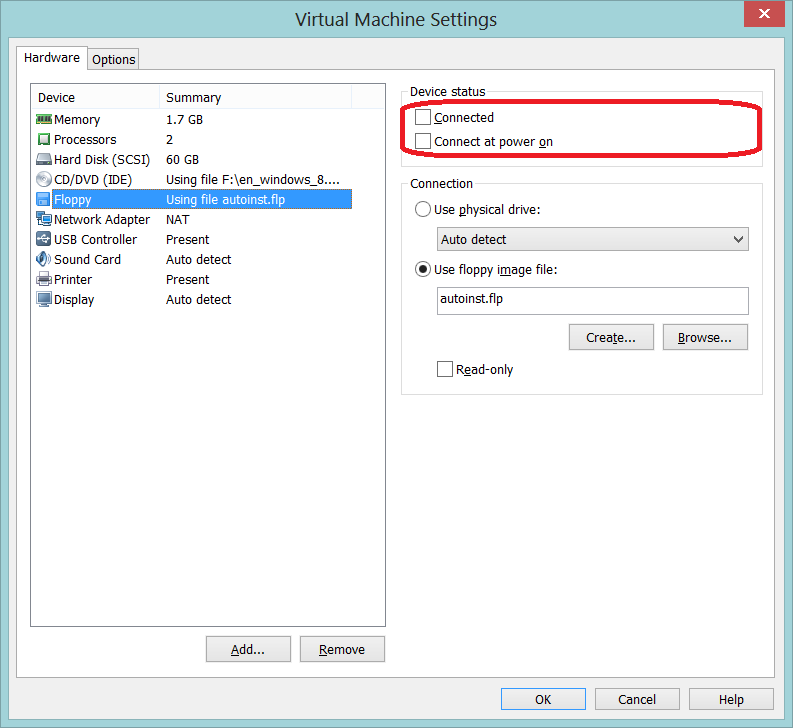 The only feature that you need to change when install Windows 8.1 on a VMware host machine without floppy is to exclude floppy support in Virtual Machine Settings. “Windows button” switches between desktop and Windows UI modes. In desktop mode from the task menu select “Properties”. In the Navigation tab turn on the option “Go to the desktop instead of Start when I sign in”. You will see desktop mode after you signed in. 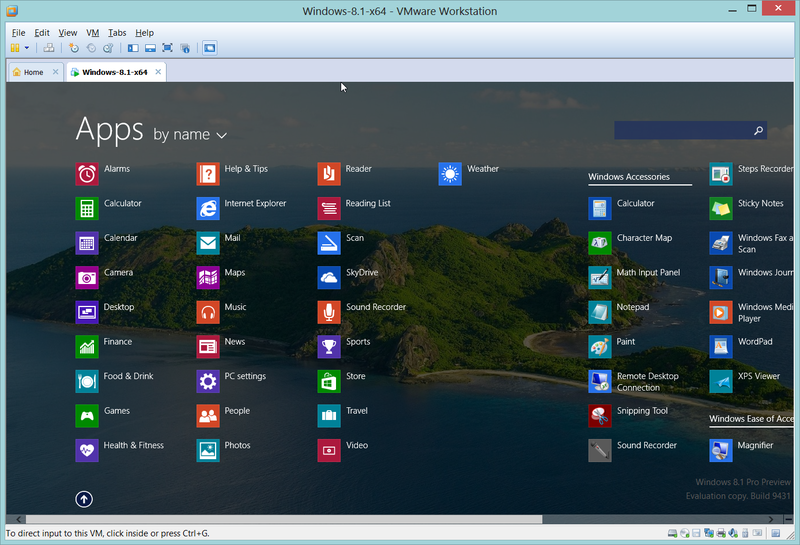 Now let’s think how to let your applications (available now in Windows UI Start screen) to be available in desktop mode. 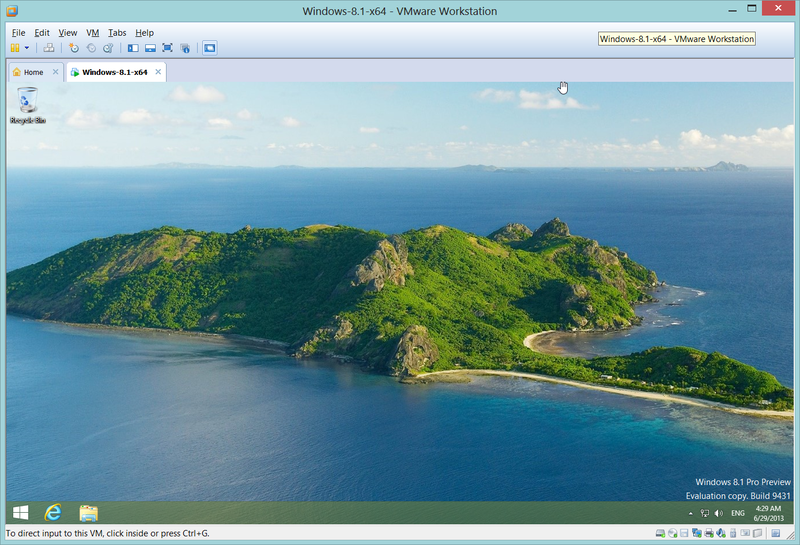 Press ‘Windows” button to switch to Windows UI mode – you will see in this case that your tiles are available over your desktop background. Maybe some of you will say: what I need to do to see all applications on our desktop? 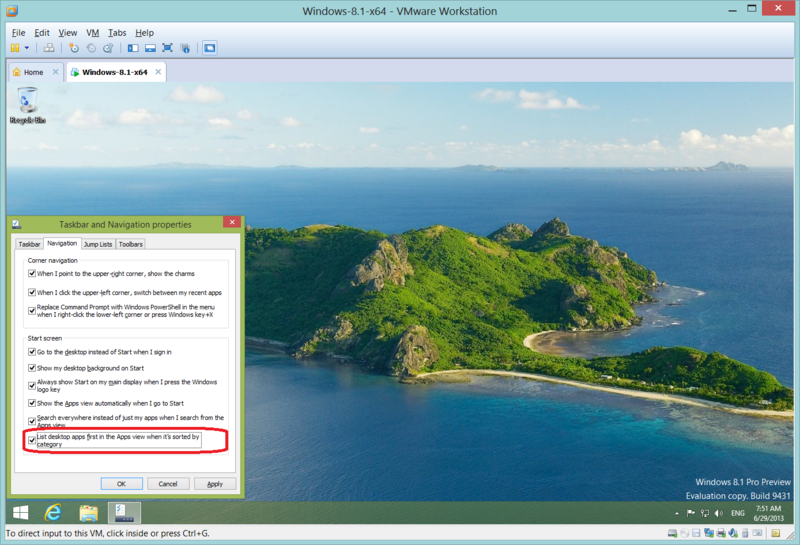 Now let’s make all applications visible by default when you switch to Windows UI mode (not only the start menu programs). 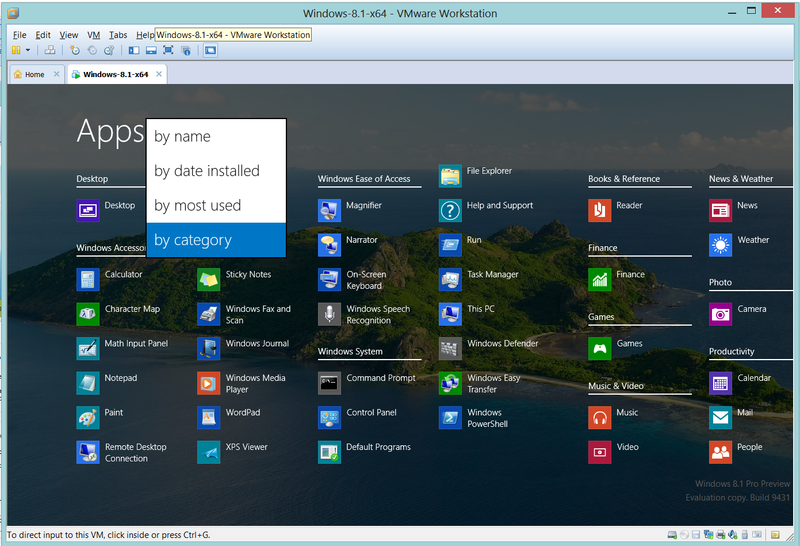 Press ‘Windows” button – you will have all applications on your screen. 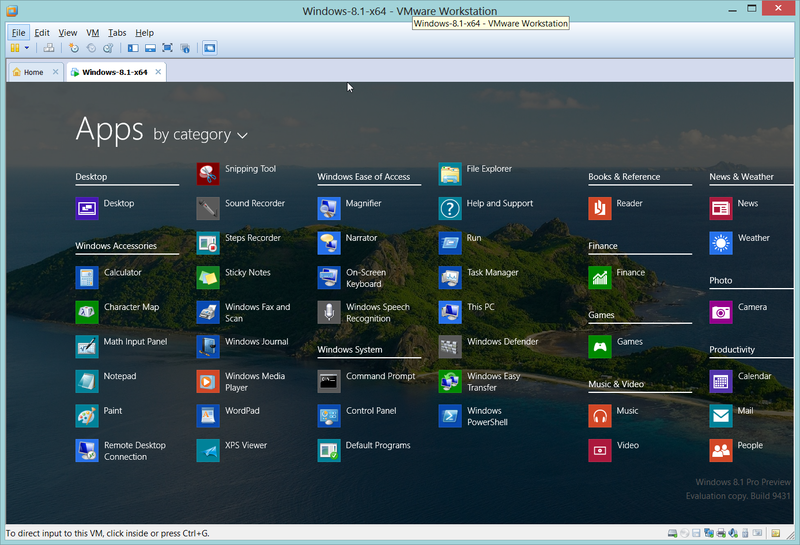 Switch Windows mode and sort applications by category. You will see first your desktop apps and after Windows Store applications. 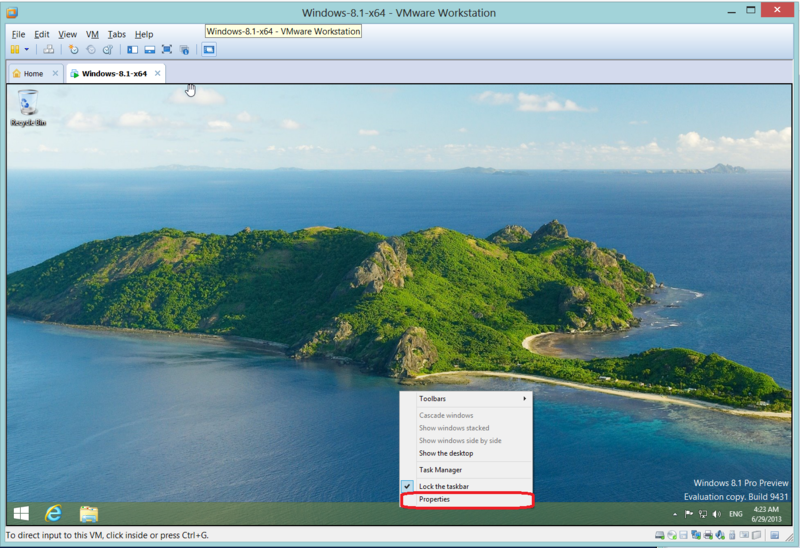 Now you know the most important navigation settings in Windows 8.1. Enjoy the new navigation! 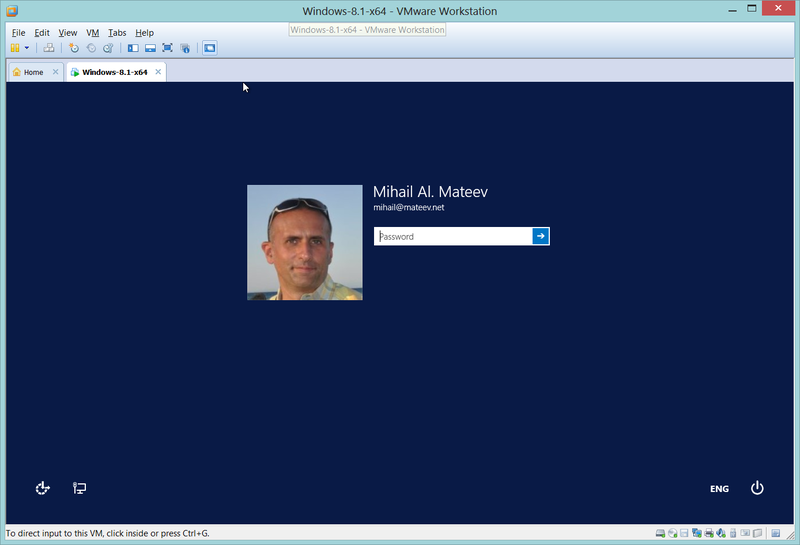 Expect next blogs where you will learn more about Windows 8.1, Visual Studio 2013 and MS SQL Server 2014Store .